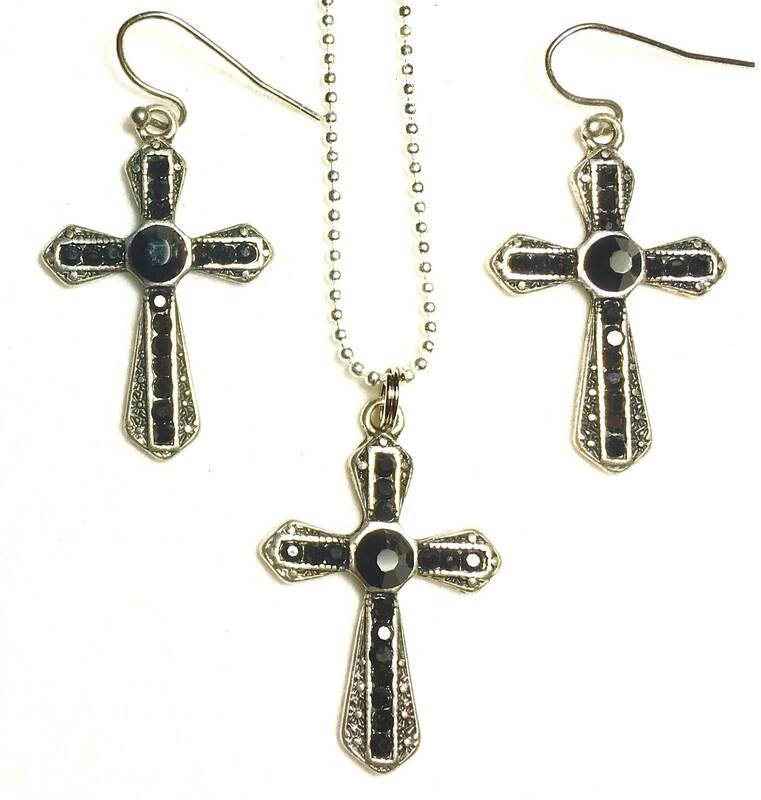 Silver and Black Antique Filigree Cross Necklace and Earring Set. Outstanding Crystal Rhinestones. Attractive dimensional design. Cross Pendant and Earrings measure 5/8" wide x 1 1/4" long.